As part of Miffy’s 60 year celebration, Beijing Design Week and Butterfly Works joined forces to design a Chinese character for Play and Learn with Miffy. We are very proud to present... Daxi! Daxi is a curious little panda and son of father and mother Long. Father is a great chef and mother helps in the restaurant. Pandas are usually a little slow, spending more than 10 hours a day sitting down and eating – but not Daxi. 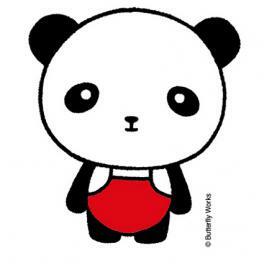 Daxi is an active little panda who is not afraid to learn new things. Of course he also likes eating, especially his father’s famous steamed buns. Wise uncle tiger said that the baby panda’s birth is the best news in the Long family, therefore Daxi – big happiness – should be the baby’s name. In the first book, we read about mother and father Long and about Daxi’s birth. The family was presented at the Dutch embassy with many inspiring speeches from the Beijing Design Week, UNICEF, Alibaba and the Deputy Ambassador. The book is currently being published and will be exhibited for pre-sale at the Beijing Design Week 2015. Alongside the books we are working on an early child development poster and educational merchandise.